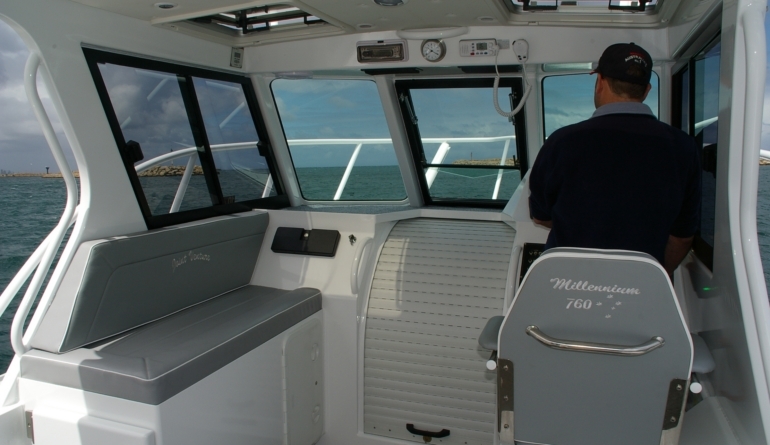 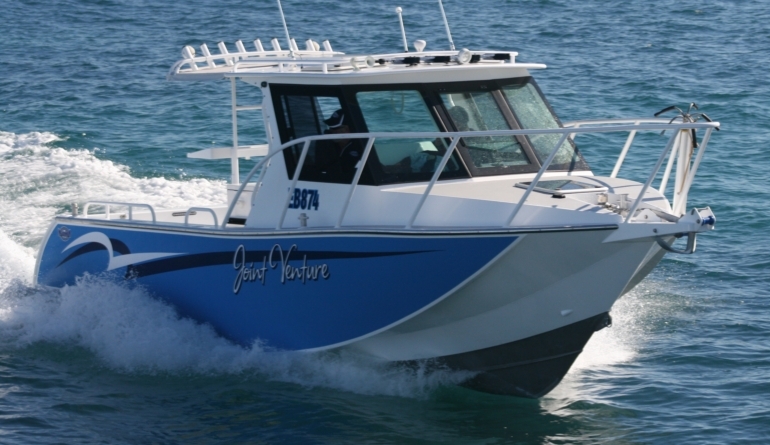 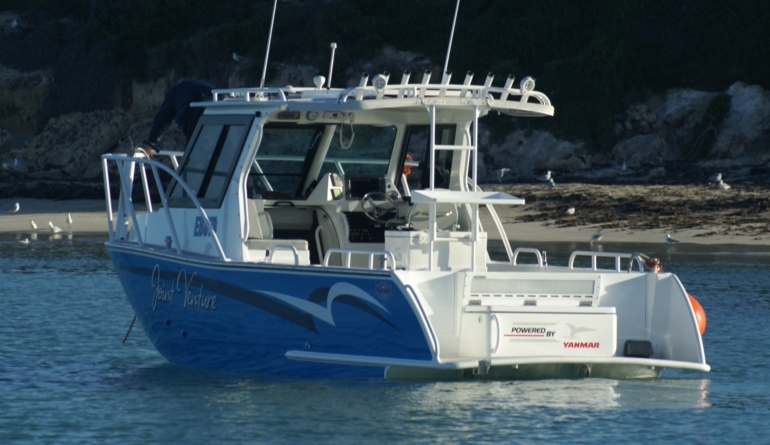 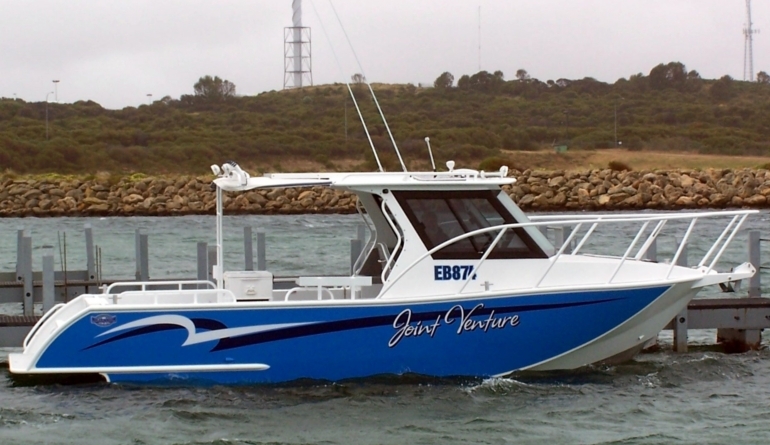 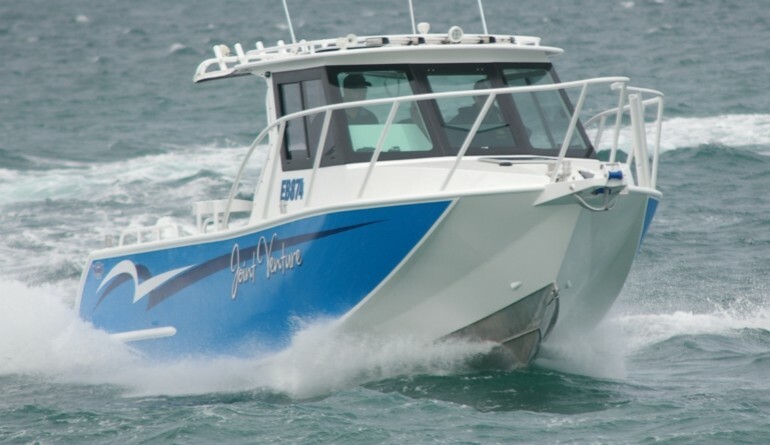 Following on our ever expanding line of excellent AIR RIDER hulls, this 7.6m couples the popular forward wheelhouse with the Yanmar 6BY260Z diesel sterndrive, to give an excellent all rounder with 30+ knots performance and the space for overnight camping with an on board toilet for the ladies. 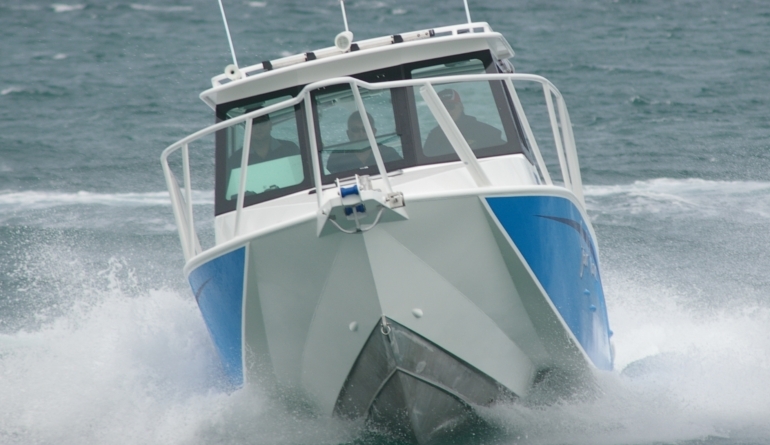 This stunner is built by Pete Sandy’s Millennium Fabrication of Perth, for Colin Sandy (his old man), and is Millennium Fabrications’ demonstrator vessel. 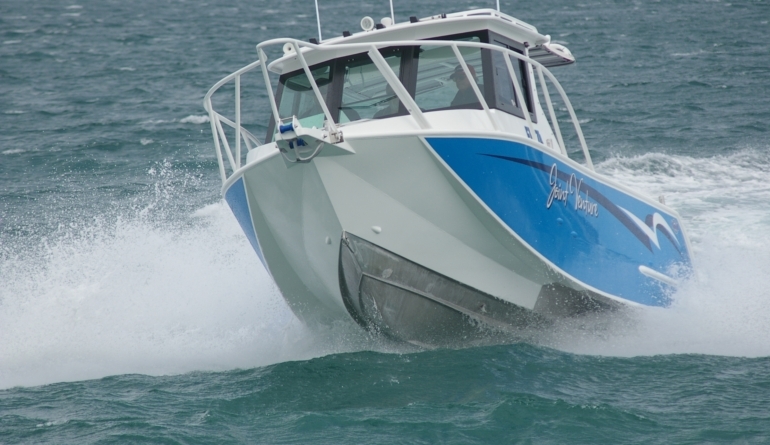 There is not a thing spared on this vessel and it is a true reflection of the builders superb craftmanship. 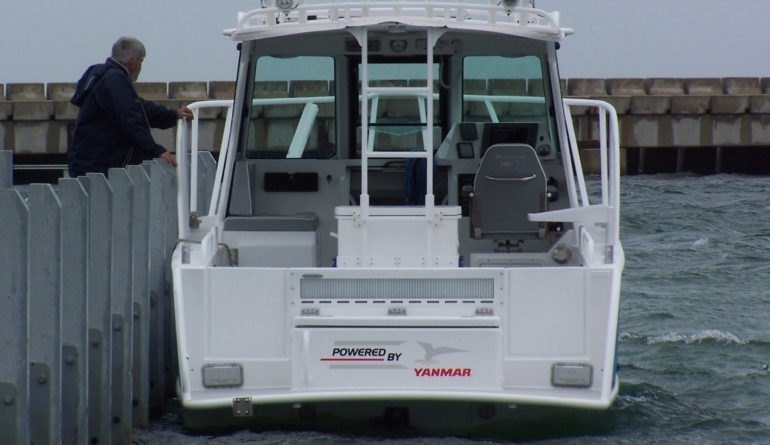 Trialed with FULL LOAD including 6 personnel, full fuel and water, with an all up weight just on 4 tonnes, we achieved a genuine 30.5 knots and 4130 RPM, giving a nice 130 RPM margin over the Yanmar required 4000 rating. 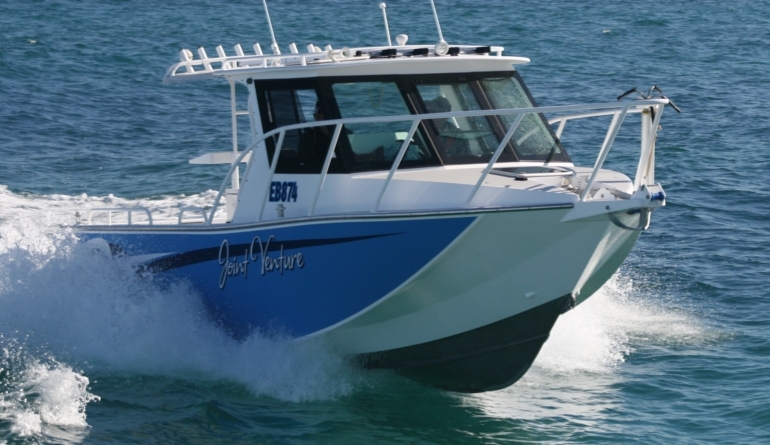 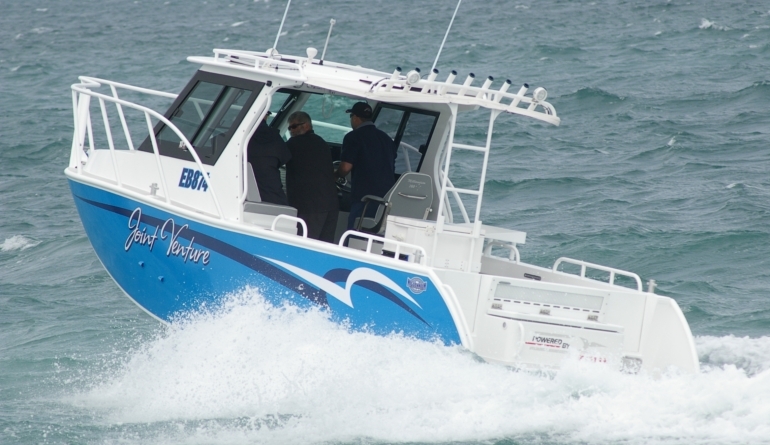 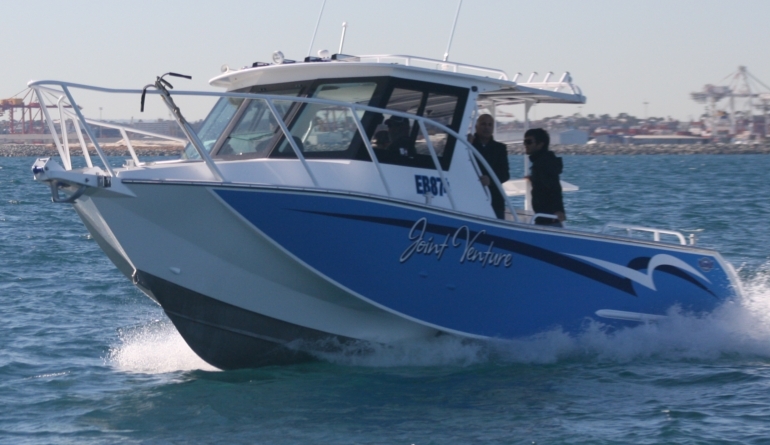 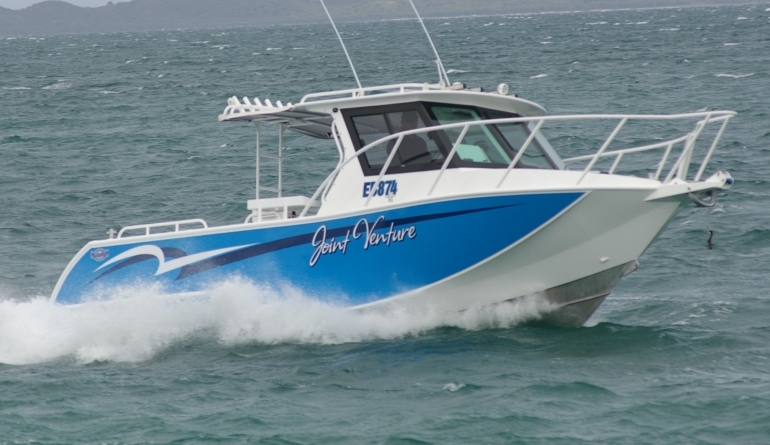 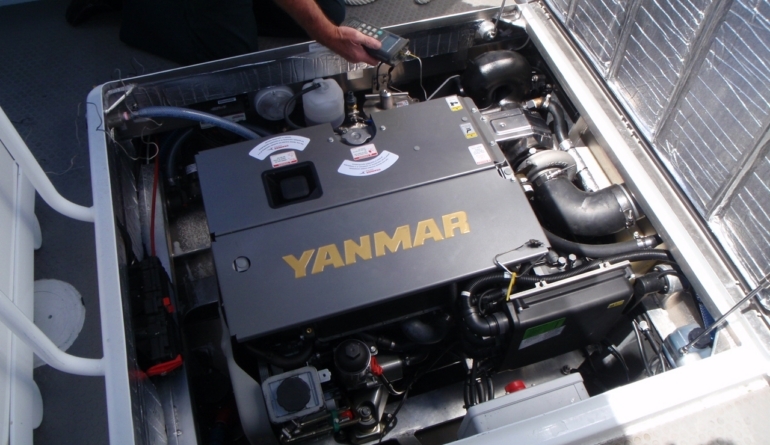 The Yanmar 260 running a 2:1 Bravo 3 leg, did it all with ease, much to the delight of the owners and the commissioning Yanmar engineer. 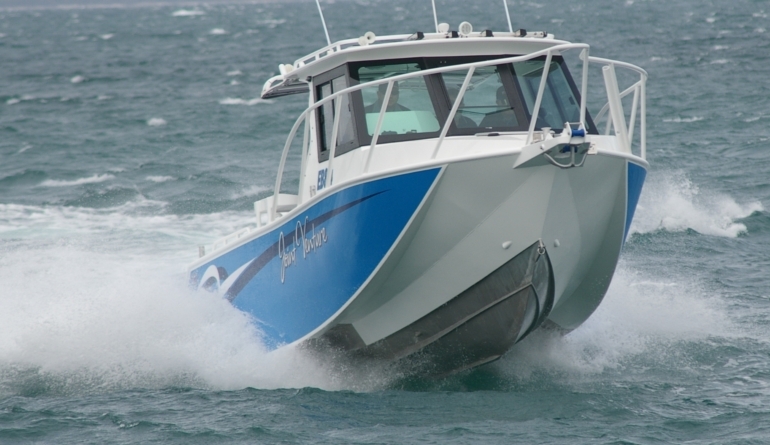 In fact at 3600 RPM we cruise at a genuine 26 knots.